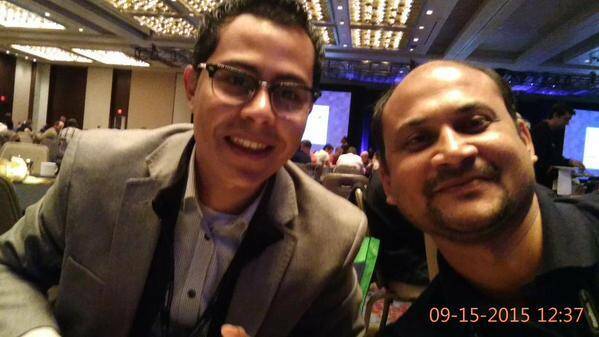 Day 2 of SpringOne2GX, 2015 started on 15th September’ 15 at 7:30 AM. 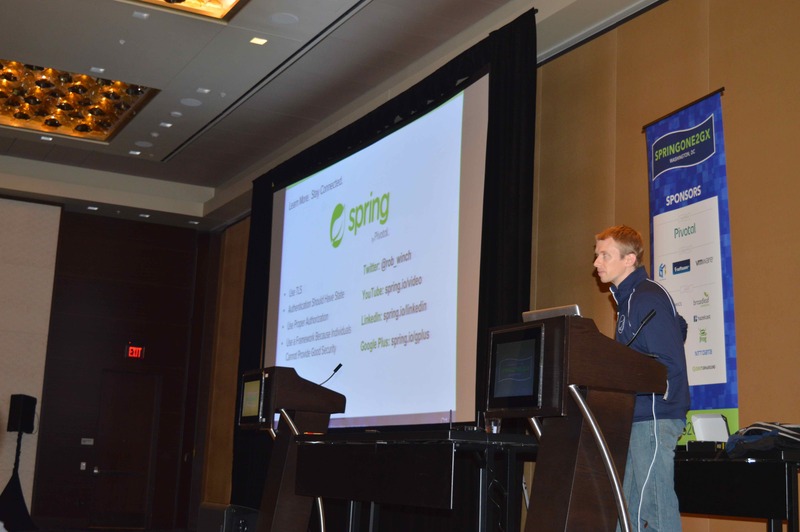 The first hour at SpringOne 2GX was Podcast Interviews and some amazing pancakes. Sharp at 8:30, the most awaited and one of the biggest events of the Java and Spring stack community developers started with around 45 sessions planned in 5 slots of 1.5 hours each throughtout the day. 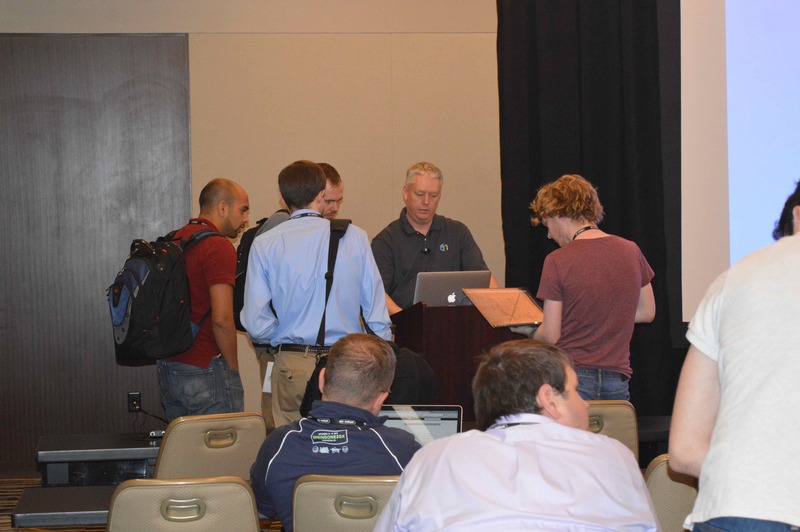 This was a very interactive and illustrative session about introduction to microservices. 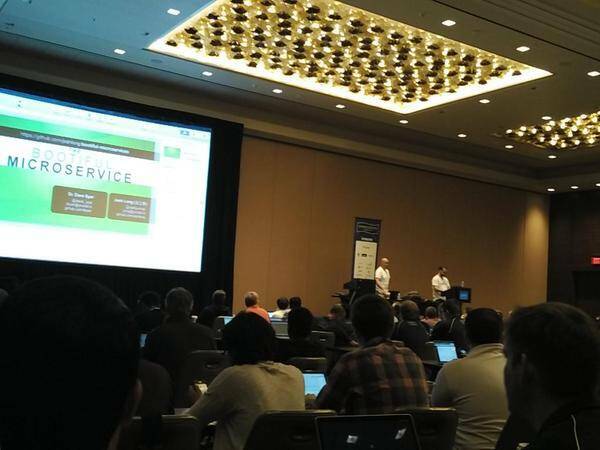 Josh and Dave mentioned that Dependency Injection, AOP and Portable Service Authorization were and will always remain in Spring. 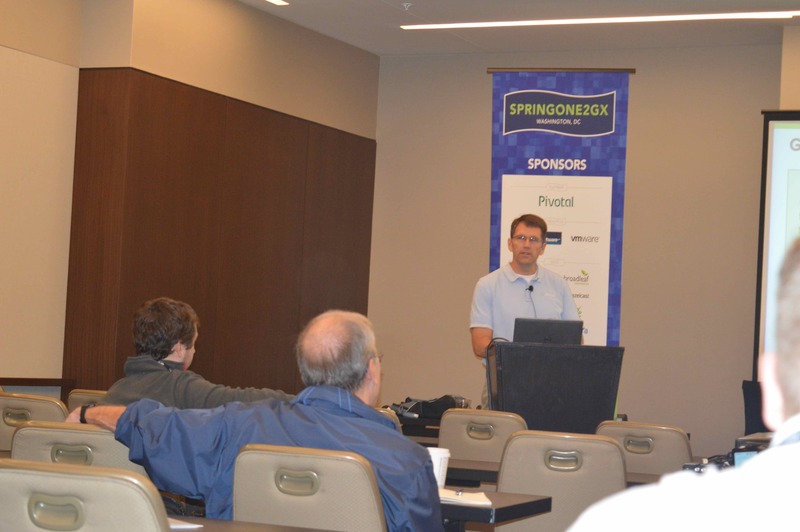 The session went deep into using Spring Cloud, using start.spring.io for creating sample app with pre-bundled dependencies. There was a LIVE Demo to explain how to create and also consume different services and also Josh talked about Fallback, Hystrix Dashboard and API Gateway. 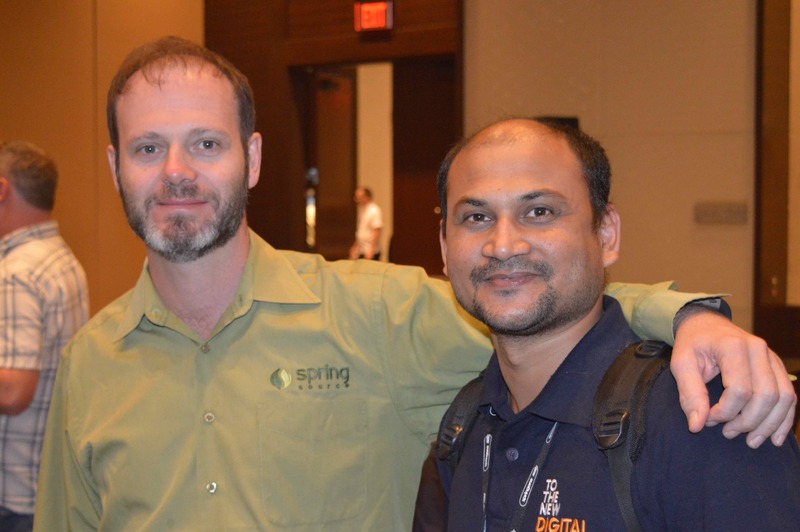 Yes, we cannot think of leave back from SpringOne 2GX until we listen talks from Venkat. Apart from the nicely prepared content, it was an amazig presentation. 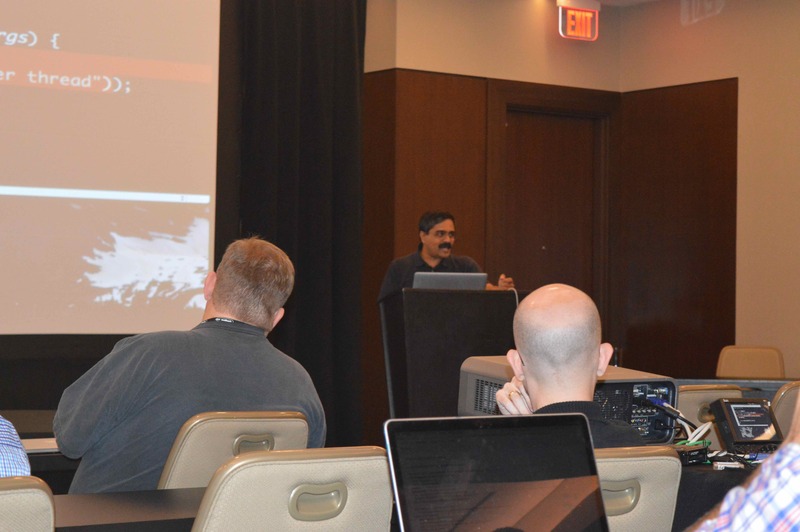 Venkat started with explaining Functional Programming and also mentioned, Groovy is not about re-inventing things rather than shining already developed things. He brought forward the context of Lambda Expressions in Java 8 and also explained how they are different from Closures in Groovy. 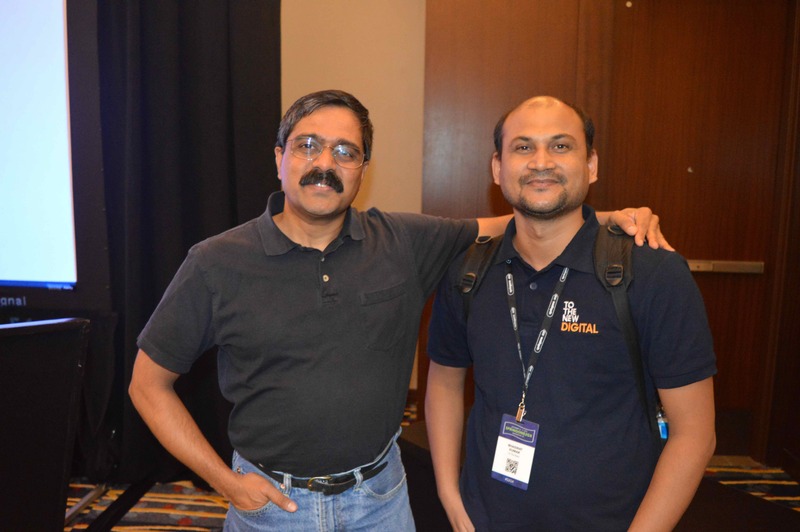 Venkat spent few minutes on discussing Stream APIs of Java 8 and how laziness of Java Collections is an advantage over the eagerness of Groovy Collections. Jeff Brown is co – founder of Grails Framework. 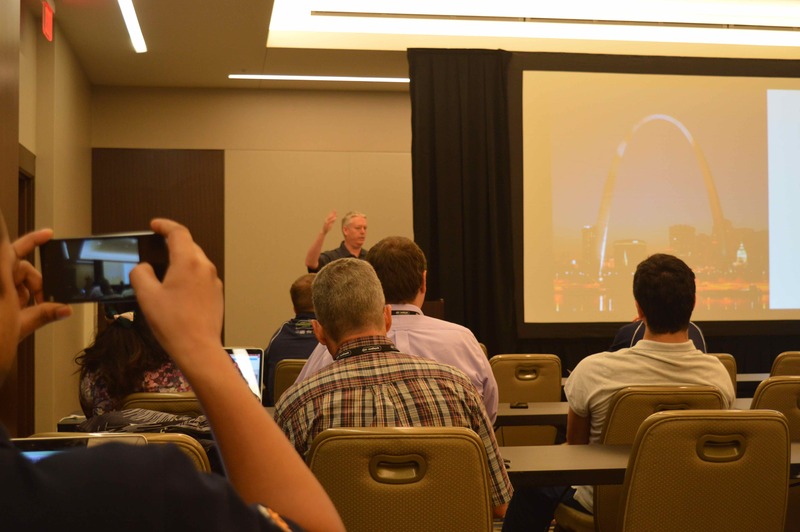 TO THE NEW Digital being one of the biggest promoter and developer community of Grails Framework, makes this session even more close to heart to all of us and if it is being delivered by Jeff himself becomes the icing on the cake. Jeff started with explaining microservices and introduction to Grails 3 and the ongoing progress on migration of Grails plugins to Version 3. Jeff mentioned that microservices are the way of desigining Software Applications as state of independently deployable services. 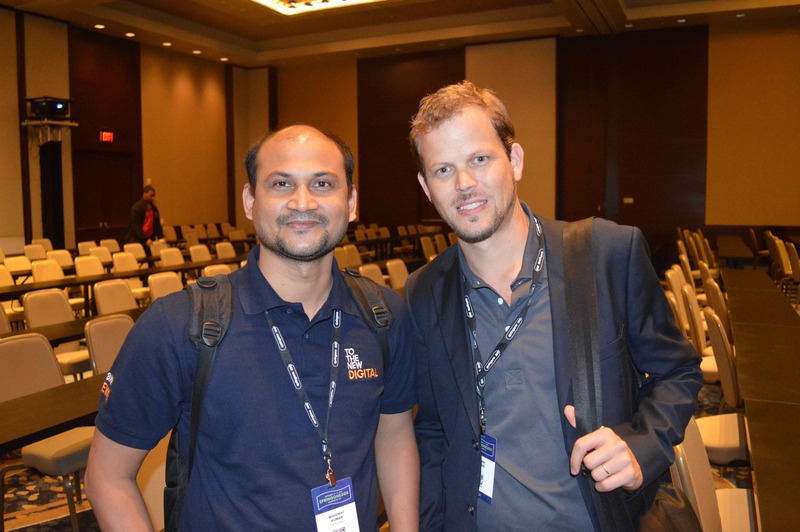 He mentioned some challenges of writing microservices and also explained how Grails gives solutions to those problems. 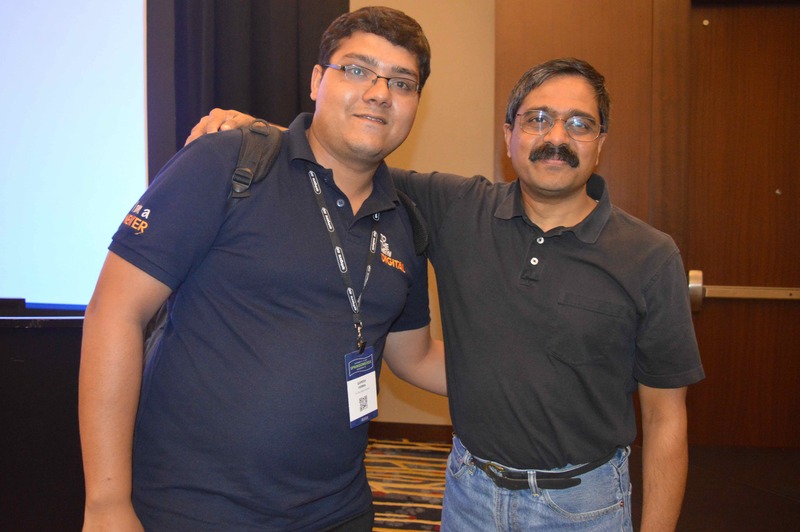 He talked about URL Mapping Resources, Versioning Resources, REST Client Builders and what not. The entire session had all live code and demo applications being built up by Jeff himself. 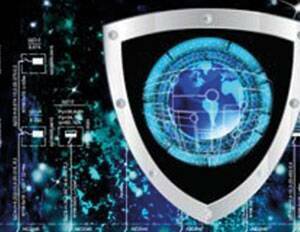 Tom Henricksen is an Information Technology public speaker and a career coach. Tom brought forward some of the advanced features provided by Groovy. Tom also talked about Groovy Design Patterns, Meta Programming and Code Narc which is about doing static analyis of code and improvise the code. 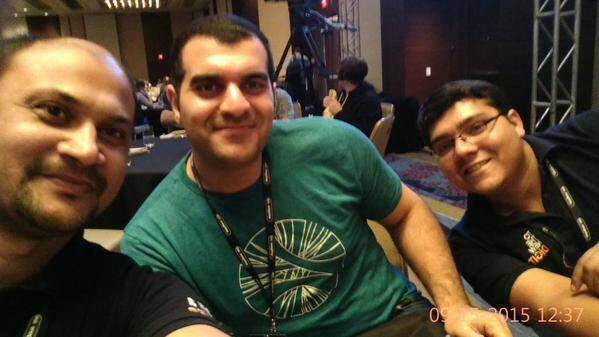 There were discussions and number of questions on Code Narc like whether it could be integrated with Jenkins etc. and when and how to use it. This though being the last session of the day, was indeed an eye opener and a knowledge sharing session. Rob talked about the importance of using sessions wisely. He mentioned that the problem is not in using the sessions rather how to use it. He also emphasized that the sessions should be light weight. 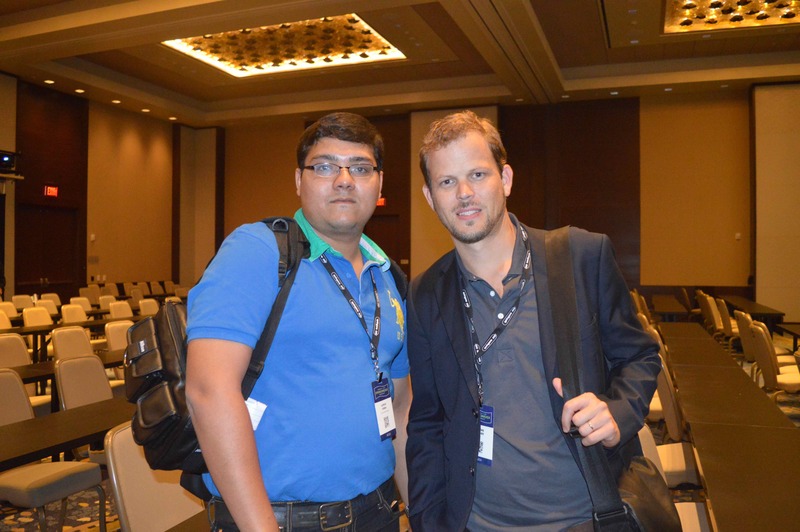 He touched on JWT, O-Auth, Spring Data Query Augmentation and also explained when and how to use CSRF protection. Numerous questions during Q&A were answered by Rob, prominent ones being on CSRF, X-csrf-token, session invalidatoin etc. Followed by all sessions for the day, there was a reception at 6 PM with snacks and drinks being served. The day came to the end with dinner and the keynotes on Groovy and Grails 3 Roadmap by Guillaume Laforge. 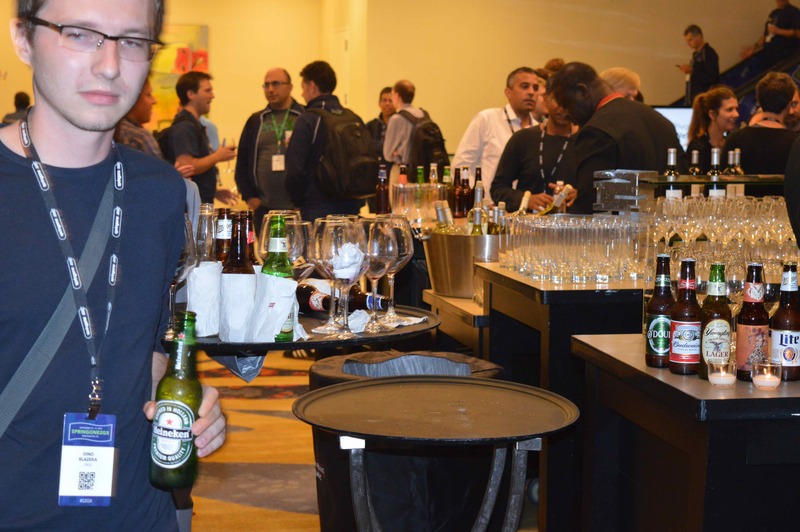 It was a long day but it made us even more excited for Day 3 @SpringOne2GX #s2gx. Awesomely written and well categorised. 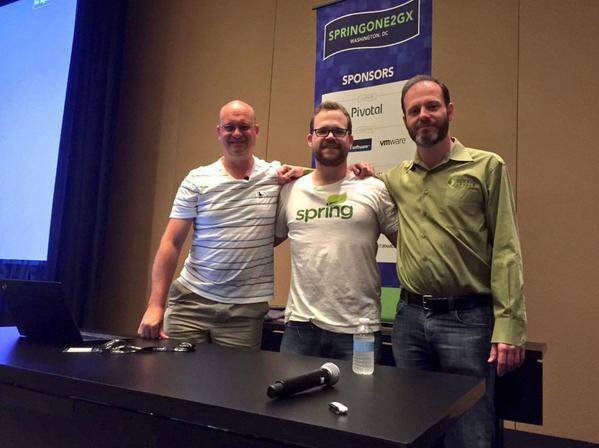 Felt like being at SpringOne2GX 2015 while reading the blog.